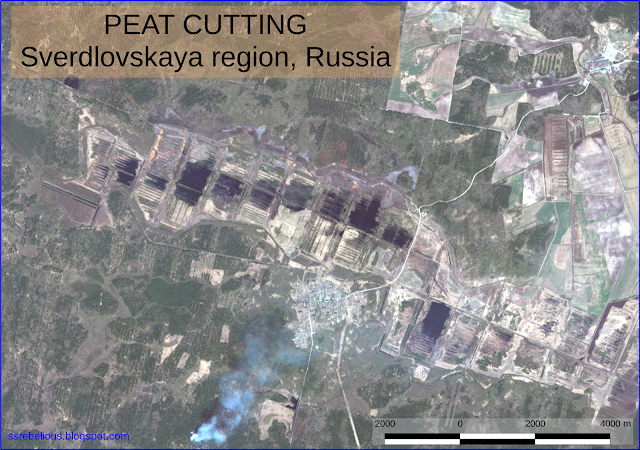 Ok, it's time to finish the story about land monitoring in Sverdlovskaya region. 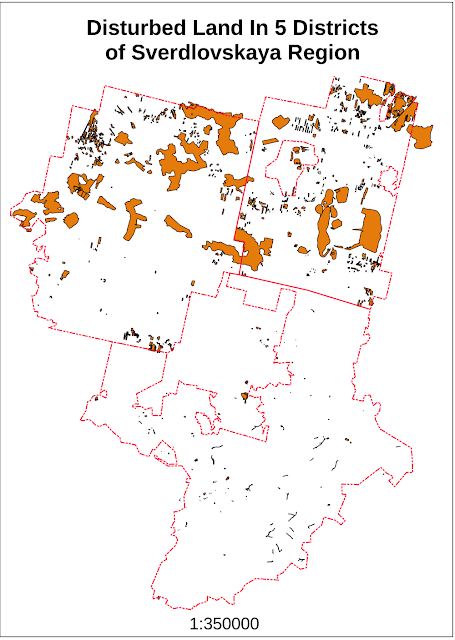 In this post I would like to demonstrate some of the most unpleasant types of the land use. But the most ugly scars on the Earth surface are left from mining works. 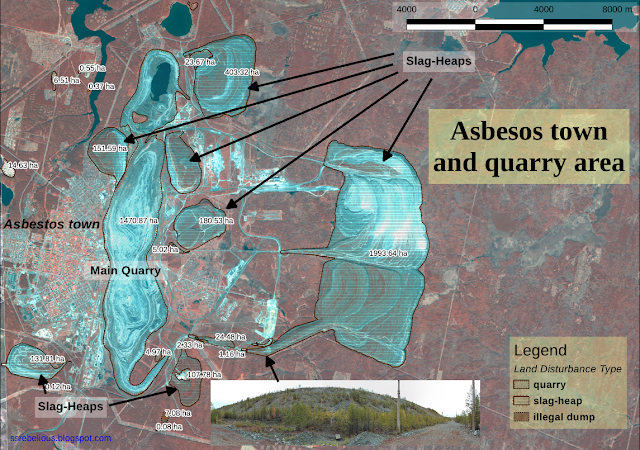 There is Asbestos town in Sverdlovskaya region. It was names after asbestos that is mined there. The quarry has an area of 1470 ha and its depth is over 400 meters. Its slag-heaps covers another 2500 ha... The irony is that this quarry gives a job for this town and killing it. You see, if you wand to dig dipper you have to make quarry wider accordingly. Current depth is 450 m and in projects it is over 900 m, but the quarry is already next to the living buildings. So quarry is going to consume the town... By the way, the local cemetery was already consumed. Guess what happened to human remains? Well, it is Russia, so they were dumped into the nearest slug-heap. And in the end I will show you the very basic schema of disturbed land in the study area (no settlements or roads included). Terrifying isn't it?